There are no boundaries when it comes to providing our clients with the best services available in our industry. Real Estate industry professionals from all over the country trust and rely on Lien One for in-depth reporting. 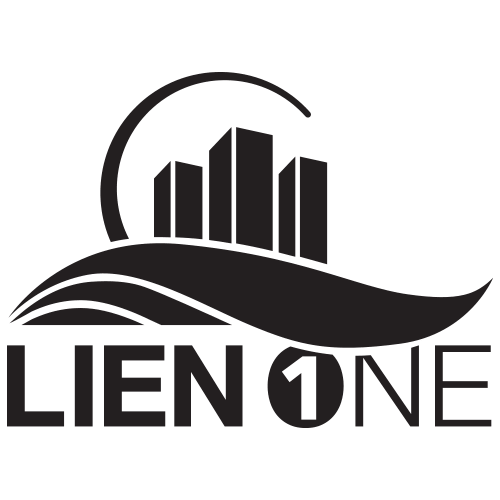 No matter where the property is located, Lien One has the knowledge to provide you with the solutions you need to succeed.  Lien One, Inc. performs a thorough search within the individual departments of the municipality that governs the property. 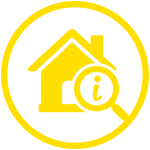 Identifying the status of: Utilities (water / sewer / storm water / solid waste), Special Assessments, Code Enforcement, Building; Permitting and Violations, Property Tax. 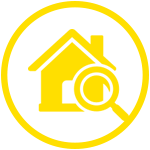 The Lien Search results will identify any outstanding or pending issues or fees on the property, that are not recorded with the Clerk of the Courts and consequently will not appear on a title search. 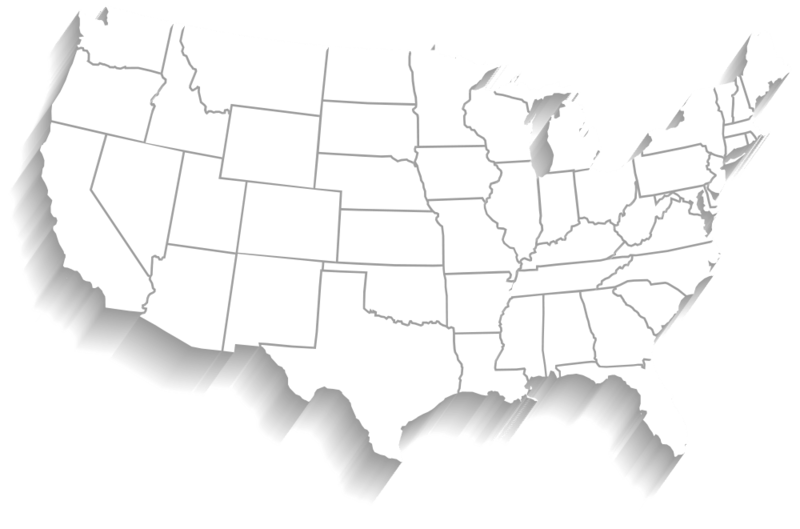 Any issues or fees have the potential to become a lien if left unresolved. 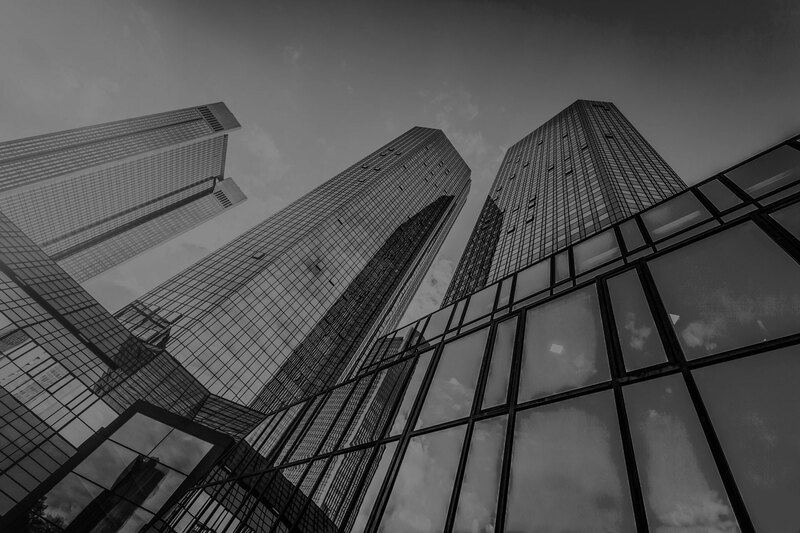 Such issues or fees are the responsibility of the current property owner, however if they are unresolved or unpaid, they will remain with the property and upon transfer of real property ownership, will become the responsibility of any future property owner. 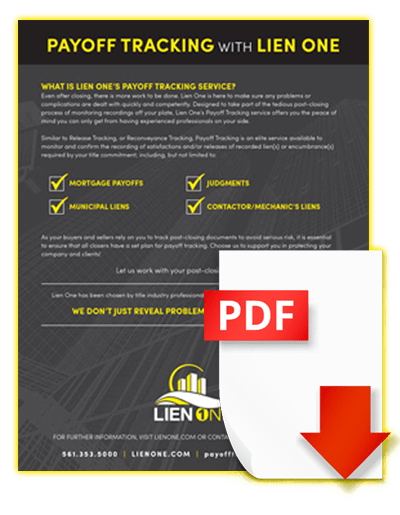 Municipal Lien Search responses that reflect any issues or fees are addressed by the staff at Lien One, Inc., and will include; contact information, details and resolution instructions to aide your resolution requirements. 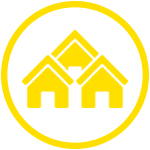 An Estoppel is essential if the subject property is a member of a Homeowners’ Association or Condominium Association. An Estoppel letter will need to be obtained prior to the transfer of real property ownership. 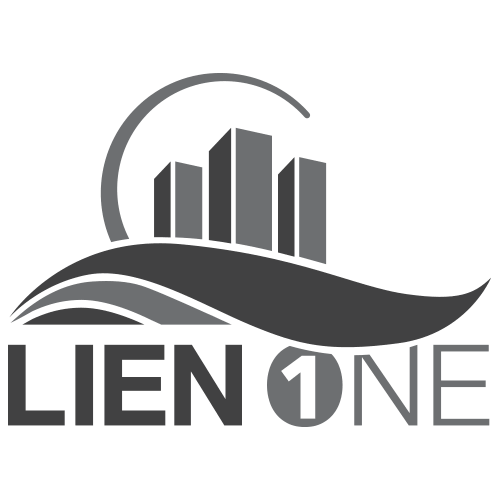 Lien One will obtain the estoppel from the Association, Management Company and/or Attorney which will identify the current status and outstanding obligations, special assessments, violations, legal fees, and or requirements for approval. Some properties can belong to more than one association; therefore multiple estoppels will be required. 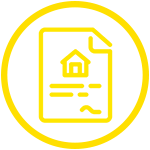 As your buyers and sellers rely on you to track post-closing documents to avoid serious risk, it is essential to ensure that all closers have a set plan for payoff tracking. Choose us to support you in protecting your company and clients! 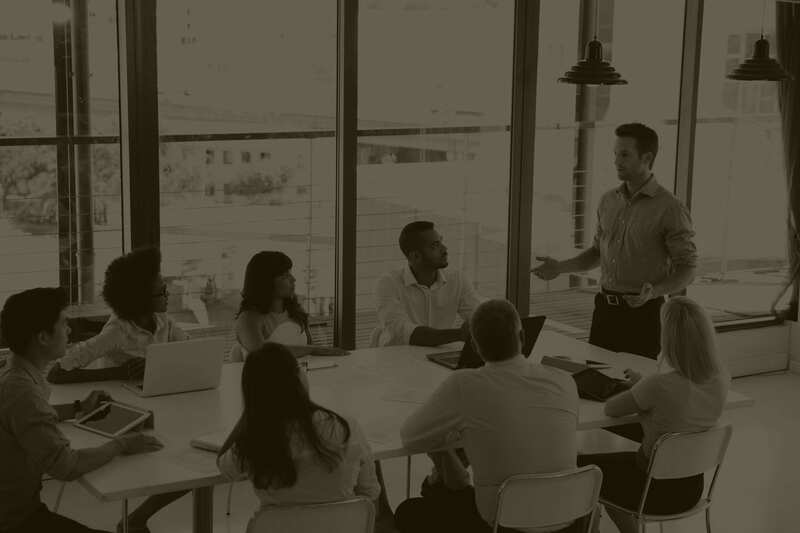 Lien One’s services are customizable to meet the specific needs of each unique customer. 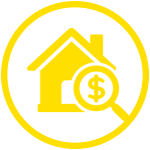 We have designed an incredibly effective program that provides a platform for Real Estate Agents, Sellers and Buyers to directly obtain unrecorded property records, maximizing the potential to bring the sale of a property to the closing table without delays due to unrecorded issues. DETAILED INVOICE: Itemizing all components searched and the applicable costs of each. DETAILED SUMMARY REPORT: Identifying search results with complete contact information for payments and/or curative action. 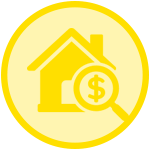 UTILITY BALANCES INCLUDING: Deposit information, Ledgers and W-9. CODE AND PERMIT RESOLUTION INSTRUCTIONS: Resolution instructions on all code and permit issues at no additional charge, saving processors valuable time. VIOLATIONS information obtained to identify: fees/fines, curative time-frame allowed. means one less thing you need to wait on. in the time frame you need. We personally answer every phone call – no pesky automated phone systems. This ensures calls are handled promptly and efficiently. If you want, you can also email us using the form below. Copyright ©, LienOne. All Rights Reserved.